Dating events can spice up the life of singles. Our current lifestyle doesn’t make it possible for us to meet a lot of potential partners. We are mostly confined to our colleagues at work, neighbors, and family friends. These events that target Singles living in Vancouver are meant to allow singles to get out there and meet new people. Not only that you might actually find someone you’d like to see for a second time, but it’s also beneficial for your dating skills and self esteem. You will become less self conscious and more willing to make eye contact. Keep in mind that the person in front of you might be just as scared as you are. EventBrite is meant for both people who organize events and those who attend them, making it our first pick. In fact, it’s free to post and promote a free event. It’s also a good way for people to see all the singles events available in their town and to book a place in advance. Singles parties in Vancouver are organized quite frequently. Prices vary from $10 to as much as $100 if trips or expensive restaurants are involved. Some events are actually free. Most events for singles revolve around speed dating but you will also find options like cruises, art exhibitions, galas, events for single parents, karaoke nights for singles etc. It’s absolutely free to sign up to use the website. You can browse through all of the singles events available and you don’t have to pay unless you make a reservation. The website earns money by charging a commission from the organizer not the attendee. 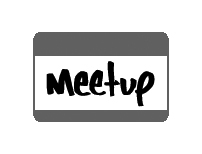 Meetup is an international website where you can find all sorts of events, including those dedicated to singles from Vancouver. There actually are lots of groups of single persons living in this area. There’s the Vancouver Single Professionals group with more than 4000 members, there’s the Single Ladies group that organizes workshops, and there’s even one for single gay dads. So, Meetup definitely offers diversity. One advantage of signing up is the fact that you don’t have to use the website for dating purposes only. You could join all sorts of clubs to meet to new people and pursue your hobbies. In fact, who says you won’t find the one you’re looking for at the sailing club or gardening enthusiasts meeting? It’s free to join and to use their pro version for a limited amount of time. If you enjoy it, you can pay for a subscription or return to the free version at any time. Known for organizing events with a casual and relaxed atmosphere, this company describes its service as American speed dating with an English touch. Considering they are active in Vancouver, it’s quite a funny choice of words. How does it work? You browse the available events and you purchase the tickets online. Don’t worry about formal strict rules at the event location. Name-tags are gone and they don’t have a pre-defined hour for when the speed dating begins. They wait for participants to get a couple of refreshments. After that, you will receive a scorecard and you can exchange emails only with date matches (you checked each other on your scorecards). All speed daters are screened in order to ensure safe dating conditions for the other members. This is quite different from regular speed dating companies that are only interested in filling up the seats. Anyway, your best judgment is still the most suitable argument for asking for a second date. Events and adventures is our fourth pick. In order to use this website, you have to sign up. After you give your full name, email and phone number, you will join the other 40,000 members who have been meeting in 9 cities, one of which is Vancouver. Although you will see plenty of speed dating events, expect to find here other ways to meet singles in your area. For example, meetups occur at bowling venues, sports games, and even water rafting facilities. You can go horseback riding, wine tasting and even jump out of a plane. Of course you should have your share of clubbing, but don’t miss on these ones either. Keep an eye on their calendar that’s displayed online so that you know what events to look for in the upcoming weeks. This website is more suitable for those who aren’t afraid of adventurous activities and want to try something different as far as dating goes. As opposed to many other singles events website out there, this one doesn’t focus only on speed dating. Diversity is at the center of their service. You will find here anything from social dinners and comedy nights to wine making, hiking and scuba diving. If all you want is to go out in a bar, there’s no point in choosing this website. As a member, you will receive invitations to all the events they organize, so it would be a pity to pass on the most interesting ones. You are required to pay only for the cost of the event itself. That’s why prices vary a lot because it’s obvious you won’t pay for a movie night the equivalent amount of a scuba diving session. Still, there’s a catch. In order to receive an invitation, you must be a member. There are several membership pricing plans available on their website. And last on our list of dating events, you will find this speed dating website for singles from Vancouver. It’s great that they organize events for gay people too as opposed to many other singles events organizers out there. For each event, 25-40 people are expected to come. This means you will have the chance to meet at least 25 people in one night. This is great for those who suffer from anxiety. Even though you will feel awful at first, the feeling will start to fade away as you move through all the discussion partners. They say practice makes perfect and this certainly applies to dating too. You can look at it as some sort of exposure therapy. The more you date, the less afraid you are and the better you get at it. You have to book a place by purchasing a ticket online. All the details of the event are displayed in advance. Still, the prices are not very low.